The Scottish Referendum has been a huge talking point because of the potential consequences across Europe. 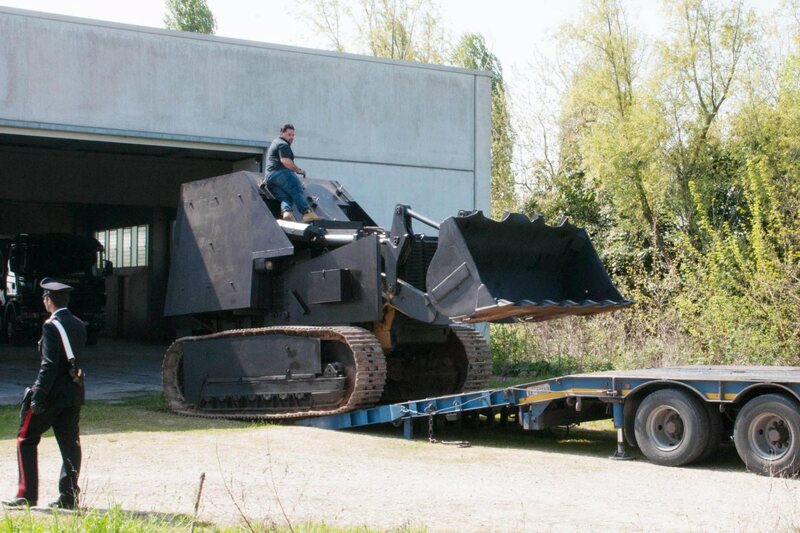 Catalunya is also pushing for independence, and police have “captured” a homemade tank that was to be used in the “battle” for independence in Venice, as reported by Time Magazine. In these circumstances, it is not hard to feel that you should take your investments and put the money in the bank or under the mattress. On top of these geo-political risks are economic risks, from deflation in Europe, very low interest rates, sky-high bond prices and even ageing populations and shrinking work forces. These factors mean that you should review your portfolio. Indeed, there are two actions that can help protect your personal wealth. The first is to diversify, and the second is to recognise that bad news often brings opportunity. It is often the case that different asset classes move in different ways to the same news. Rising interest rates can be bad for the capital values of Government bonds, but great for savers who can put their money in the bank and get a better return. None of us have a crystal ball that is accurate in telling us what the future holds. A well-diversified portfolio is the way to manage this uncertainty and to reduce volatility in a portfolio. Harry Markovitz won the Nobel prize for economics for his Efficient Frontier Theory. In simple terms he said that there is an optimum amount of diversity to get the best return, with the lowest risk. The diagram below shows the types of portfolios – not individual investments – that can be made. 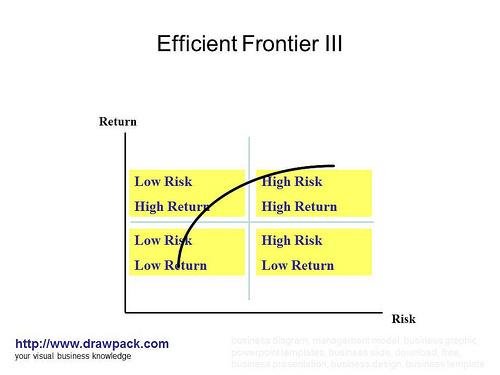 The optimal point is where the letter “n” crosses the line in the Low Risk, High Return box. We started this article with a rather disconcerting list of challenges that we face in today’s markets. However, I would like to highlight that there are often good opportunities to be had when things go wrong. Two examples include the situation after Black Monday in 1987 and, more recently, after the Lehman Brothers bank collapse in 2008. In both cases markets fell, badly. In 1987, the FTSE fell 30% and in 2008 the Dow Jones fell from a level of 13,930 to 7,062, a drop of 49%. In 1987, I could understand the concerns about the level of the market. So could others, and the sudden selling of shares meant there was an across the board fall in share prices. Everyone raced to the door. There were certainly headlines announcing the end of stock markets as we knew them, but was this logical? Had the profits of Britain’s top companies fallen overnight by 30%? No, they had not, and therefore it was time to assess whether there was an opportunity to add some of the better companies to a portfolio. For those of our clients who took that opportunity, they were rewarded with a 30% rise in 4 months. In 2008, opportunities soon presented themselves. Governments around the world reduced interest rates. It was clear that interest rates would have to fall. When interest rates go down, bond prices go up. This proved the start of an historic rise in bond prices. All equity prices dropped, not just Banks. In a manner similar to 1997, was this logical? In 2008 there was more reason to be concerned so the opportunity was less clear but still there. The Dow Jones has moved from the low of 7,062 to today’s level of 17,156, a rise of 143% above the post-Lehman crash point. … while average people see money through the eyes of emotion. “An ordinarily smart, well-educated, and otherwise successful person can be instantly transformed into a fear-based, scarcity-driven thinker whose greatest financial aspiration is to retire comfortably,” Siebold writes. I am not recommending trying to beat the market, day trading or becoming Superman with x ray vision. However, world events often cause markets to fall back. In these circumstances, there is no need to “bet” on a recovery or bounce. If it is illogical that everything has fallen together, be logical yourself and just take the opportunity to add a little to your already diversified portfolio.